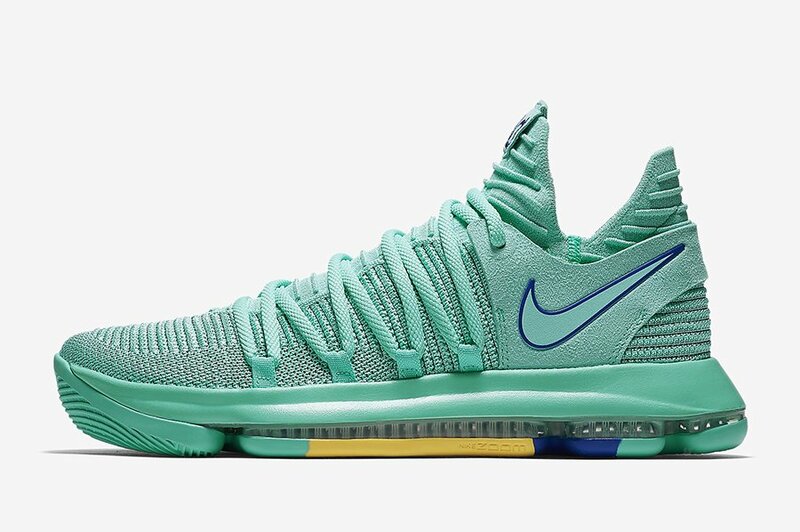 Nike is planning to release yet another KD 10. 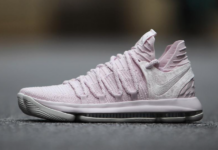 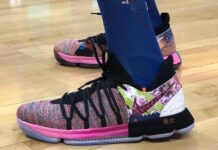 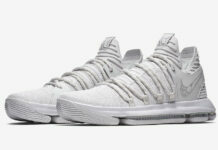 This time, The KD 10 will make its return in the reverse colorway of the previous “City Edition”. 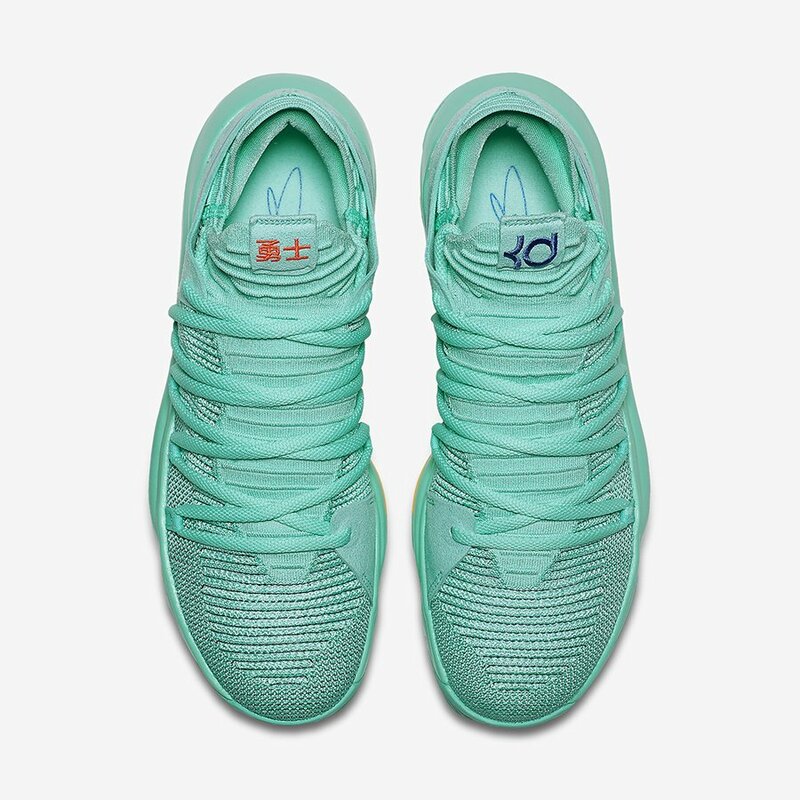 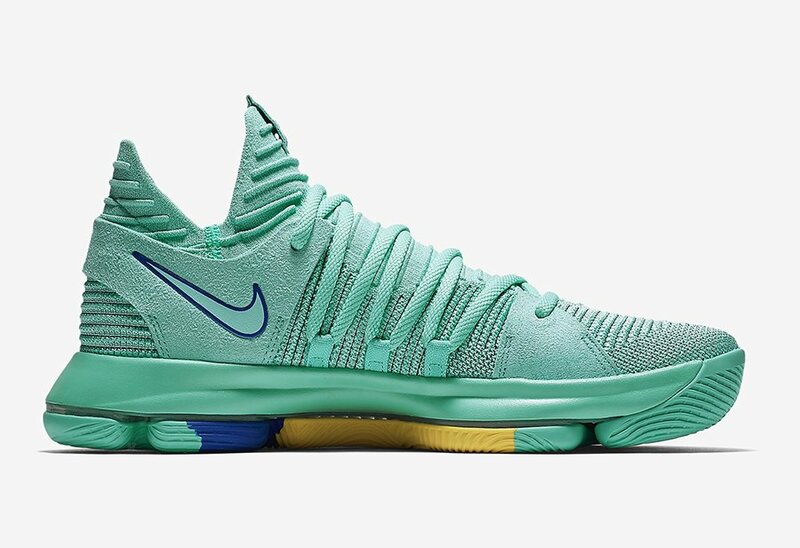 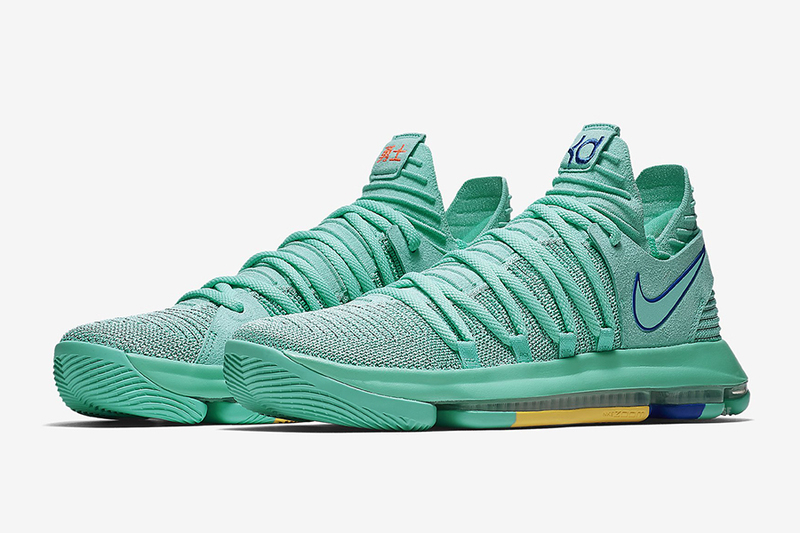 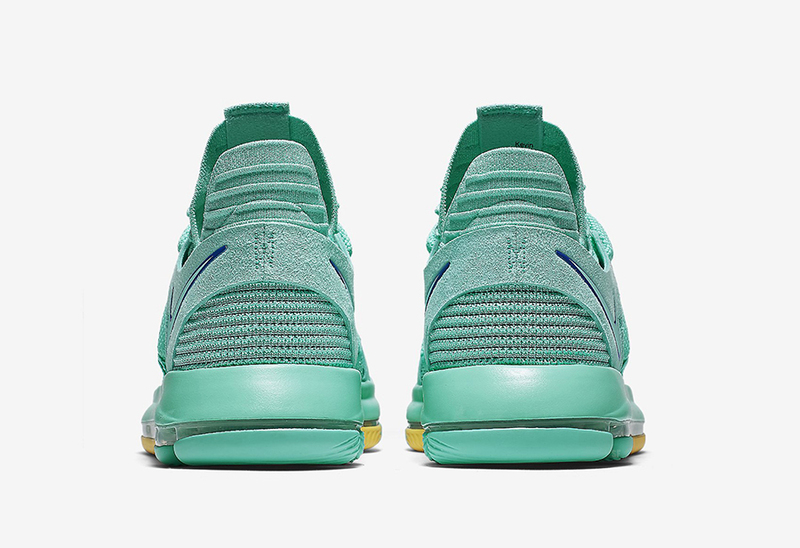 The Nike KD 10 10 City Edition Hyper Turquoise will be available for purchase on April 4th at select European retailers. 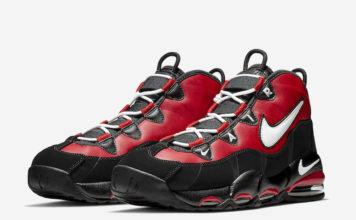 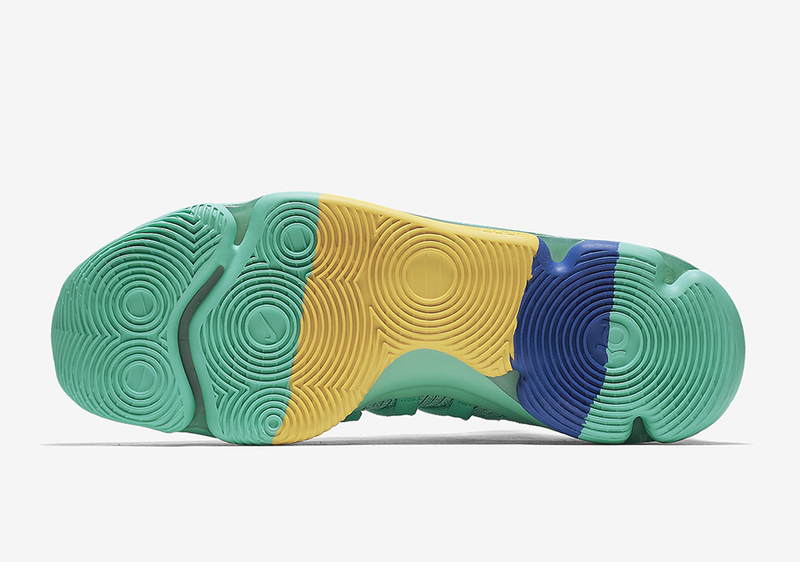 The sneaker will have the $150 USD price point. 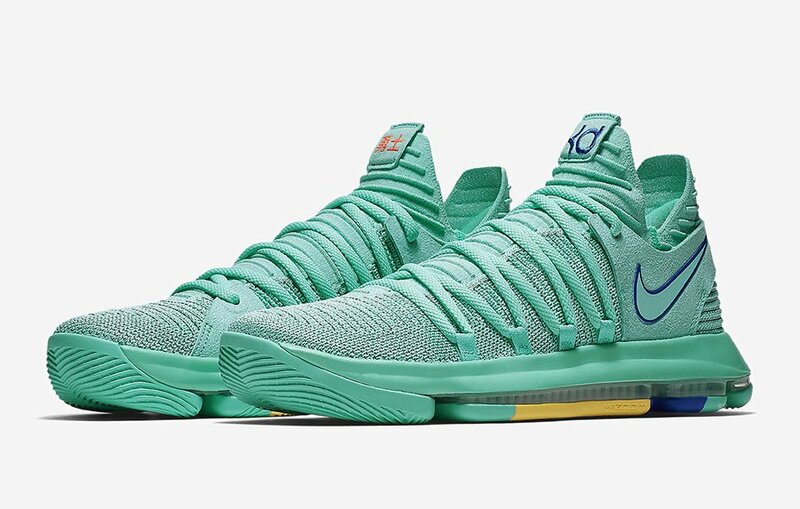 Stay tuned for the latest news on this release and scroll down to get a detailed look at the Nike KD 10 “City Edition 2”.